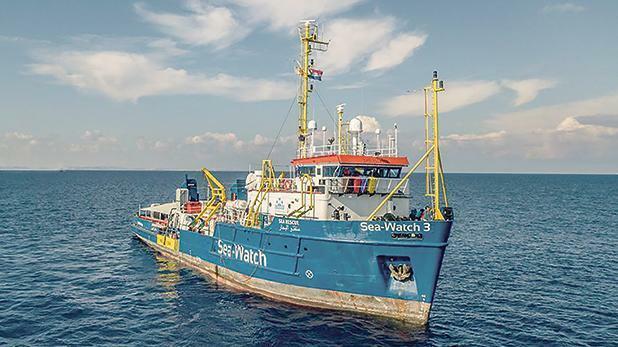 Sea-Watch e.V, operators of the Sea Watch migrant rescue ship, have filed a constitutional application demanding compensation from the government after their vessel was held in Grand Harbour for four months last year. The NGO said Transport Malta's action was illegal and abusive. It happened at the same time as another two rescue ships were also held by Malta, showing that Transport Malta's action was only taken to assist the government in its efforts to stop the operation of migrant rescue missions by NGOs. When the Sea Watch was eventually allowed to leave, nothing had changed in its legal status since the day it was blocked in harbour, NGO observed. It therefore demanded compensation for having been denied enjoyment of its property. Lawyers Cedric and Catherine Mifsud signed the application.